I have this massive problem with simple. I just can’t do it. Give me something simple to do and I guarantee I will somehow manage to (possibly unwittingly) turn it into the most complicated, convoluted thing you’ve ever seen. But this here? THIS is simple. Three simple steps to check that your cake is cooked perfectly, every time. Have you ever baked a cake, given it a quick poke with a finger and had it spring back, or stabbed with a skewer that comes out clean, then let it cool, cut it, and become completely dismayed to see that it’s undercooked? 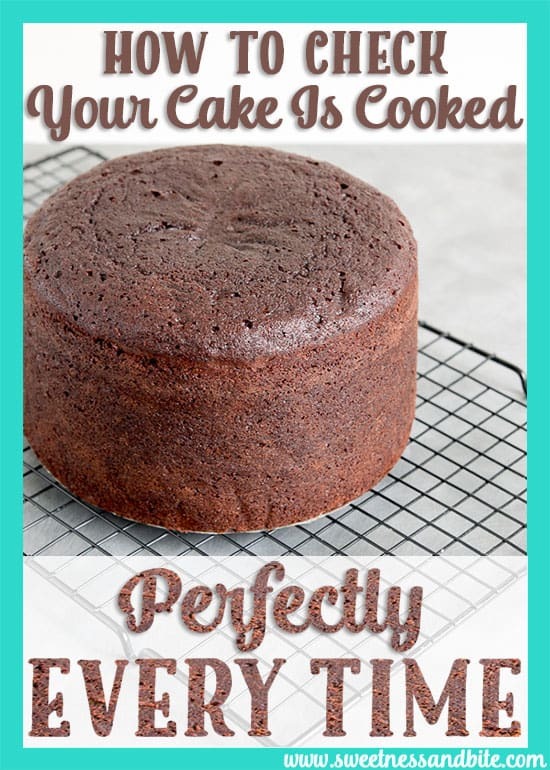 Many dense cakes like mud cakes can give you the illusion of being cooked even when they’re still undercooked in the middle, so it’s great to have a few tricks up your sleeve to make sure those hours you’ve spent preparing and baking that cake aren’t wasted. Obviously the baking time suggested in the recipe is the best starting point for how long your cake will take to bake, but that’s only a good indication when you’re making the exact recipe, in the exact size cake tin they used when writing the recipe. 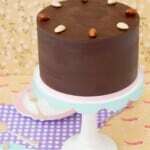 What if you’ve increased the batter amount to make a bigger cake in a bigger cake tin? 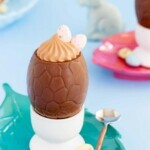 Or split the batter between two tins? 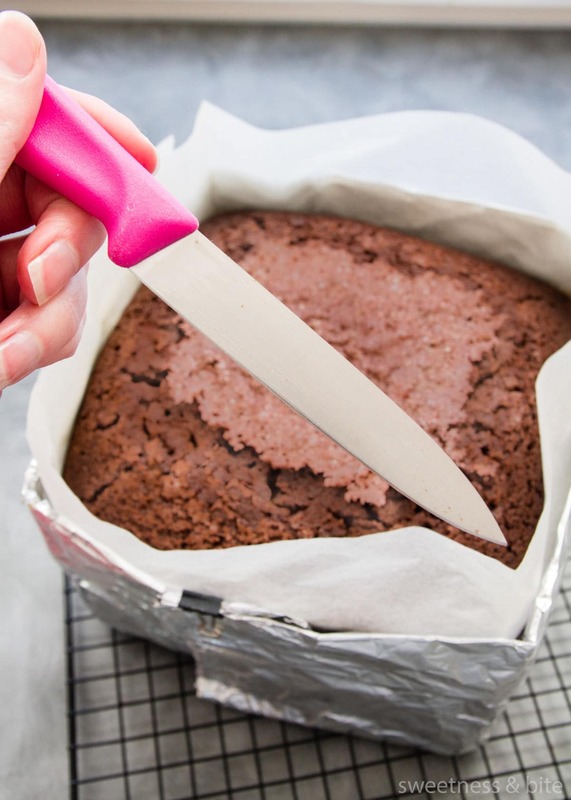 And if you’re using baking strips then your cake will take a little longer to bake, since you’re slowing down the baking of the outside of the cake to let the inside catch up. 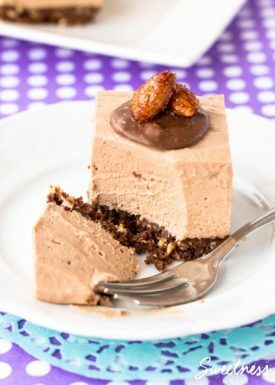 No one likes eating undercooked cake (well, except for licking cake batter off the spoon) and certainly no one enjoys having to rebake a cake that is supposed to be cooked but isn’t. 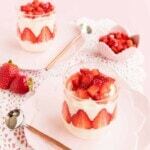 Luckily there are a few little tips and tricks so you can have confidence that when you take the cake out and turn the oven off, your cake will be cooked right through. If you’re baking the same size and shaped cake as your recipe and it has a stated time range, start checking the cake at the shortest time. But how do you know when to start checking if you’re baking a bigger/smaller sized cake than the recipe? The “I can smell delicious cake now” test is usually a pretty good indicator. If when you go to check the cake you look in the oven and the cake is clearly not cooked yet then don’t open the oven door, if the cake hasn’t started to set on top yet then opening the door will cause the oven temperature to drop and your cake may well do the same, sinking in the middle. 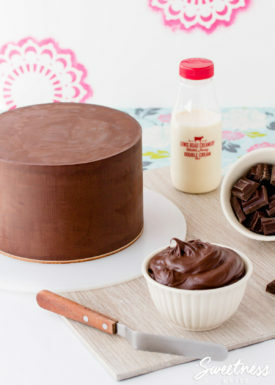 Before you start poking things into the cake, make sure it has most of the other signs of a cooked cake – the top crust should be fully set, the edges may have browned and be pulling away from the sides of the tin, and if you gently press the top of the cake with your finger, the cake should spring back. 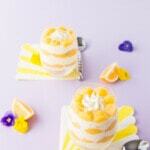 …then you can insert the thin bladed knife into the centre of the cake. Often even if a skewer has come out clean, the extra surface area on the knife may show some uncooked batter, usually on the tip. Insert the digital thermometer into the centre of the cake, using the hole the skewer and knife created to avoid having your cake look like a pincushion. Don’t let it touch the bottom of the cake pan or you’ll get an inaccurate reading from the metal, hold it slightly above the bottom. The cake should have an internal temperature of at least 99℃ (roughly 210℉). Final step – write down how long the cake took to cook! This way, the next time you bake that cake, in that tin, at that temperature, you’ll have a better indication of how long it will take to cook. I love your tutorials…and here’s the BUT…the proper term and a pet peeve of mine is “BAKED a cake”! BAKING is done in the oven and COOKING is done on the stove/cooktop/range! Precision is important in all things, definitely in baking, but in language too. Thank you for the tips; I have a new frigidaire oven that heats unevenly and has been a baking nightmare. Two of the exact same pans, filled with the same batter will come out one baked and one wet in the middle. These methods will save me time, money, and frustration. Actually, Susan Hardy is correct and while I do understand your reply, this is a tutorial and, therefore, one would expect the correct terminology to be used. Cakes are always baked. The definition of cooking is the practice or skill of preparing food by combining, mixing, and heating ingredients. Baking is cooking. Baking is just a more specific term for cooking. You can cook any food, but not all foods can be baked. thanks for your time and effort in sharing this and all your tutorials. Baked or cook is perfectly understandable. Really good tips! 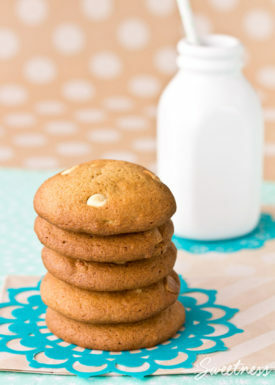 Baking is both art and science – new bakers are well served by using the good advice of experience. I learned how to cook and bake at her bedside as she was ill with breast cancer. I, to this day, still use her loving tips and techniques. 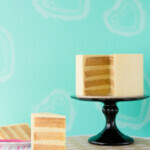 Hi Natalie, I have increased the recipe (using the Cakeometer – great tool!) 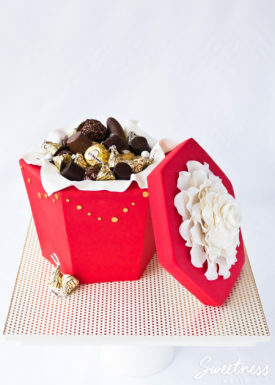 for an 11 inch cake tin. Can you please advise roughly how long it would take to cook? Thanks! Hi Natalie, it was for the dark chocolate mud cake. I took a gamble and checked it after 3 hours and then gave it another 30mins and it worked out fine 🙂 I’m now onto the ganache part – and then it will be the fondant (wrapped) – all following your great tutorials! Many thanks! Smoothly being the operative word! 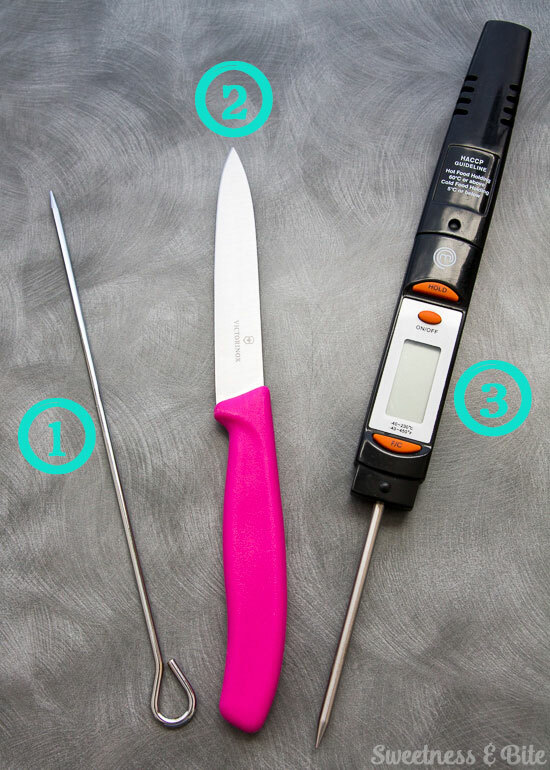 Might sound silly but could you skip the skewer and knife test and just use the thermometer? Thanks! Hi Jess, yep you can skip straight to the thermometer if you wish 🙂 I usually start with the skewer because I can use that quickly while the cake is still in the oven, so I can just leave the cake in if it’s not cooked yet. 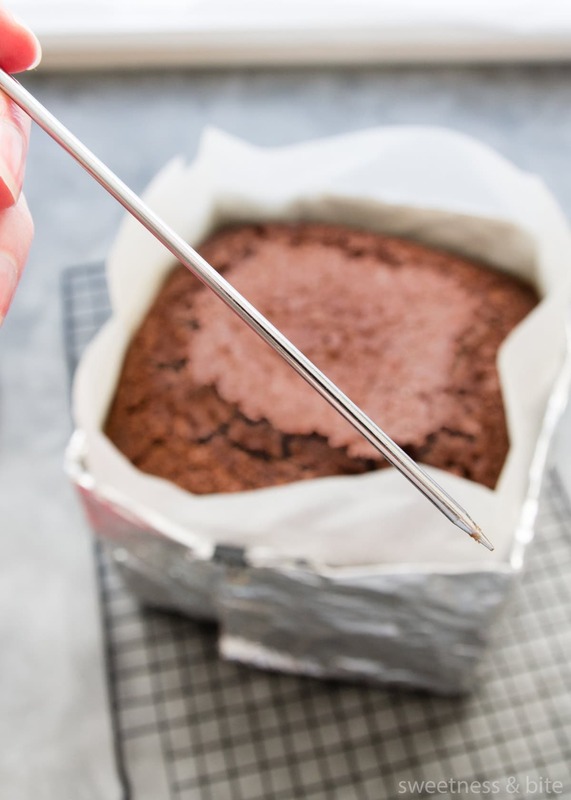 It’s also easier to clean the skewer than the thermometer if it comes out with sticky cake batter on it 😉 But if you’re pretty sure the cake is nearly done, you can take it out and test straight away with the thermometer. Please help!! Been having an issue lately &I can’t seem to figure out what’s going wrong. My knife is coming out clean but once I cut the cake & it’s not baked at all or evenly. 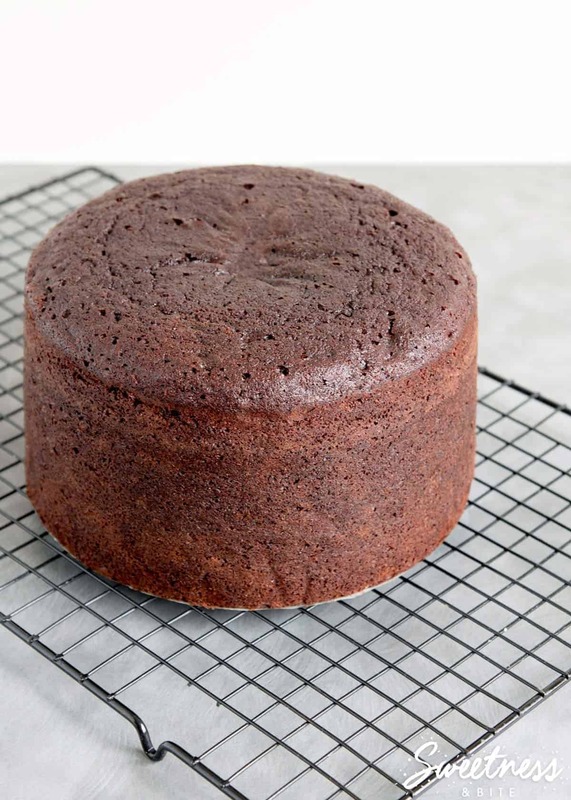 Using an 8×3 sandwich tin for a simple chocolate cake (250g flour+sugar+butter, 4eggs,cocoa, baking soda). Baking it at 160degress fan oven for 30 mins. It’s spongey but not evenly baked 🙁 Stressed as this has never happened before. Hi Heenal. I’m guessing it just needs a bit longer than 30 minutes to be fully baked. That’s not a very long baking time at 160 degrees even on fan bake. I’d try increasing the baking time to 40-45 minutes and go from there. Also there’s the possibility that your oven runs a bit cold, so the actual temperature of the oven as the cake bakes may not be 160 degrees. If you can get an oven thermometer then I highly recommend it, to make sure that your oven is at the right temperature. 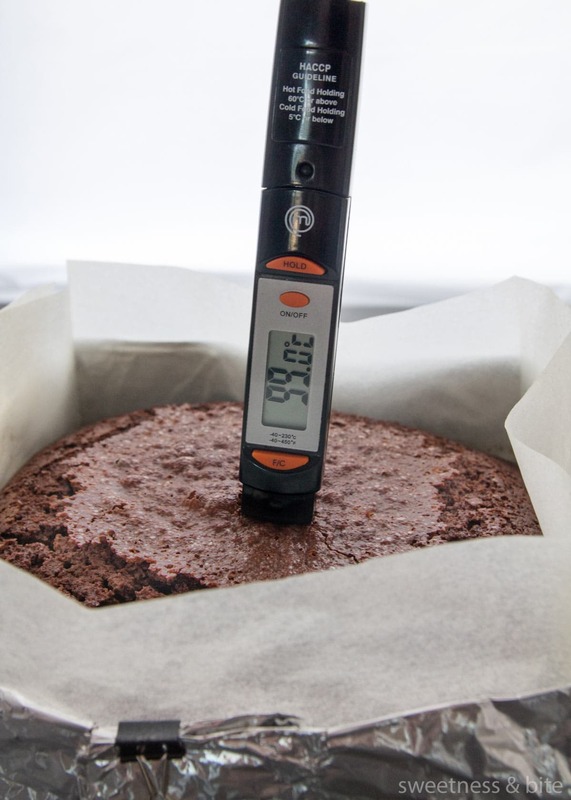 And if you can get your hands on a probe thermometer then you’ll know for sure if the centre of the cake is cooked. Hope that helps! I always struggle knowing if my christmas fruit cake is cooked properly. 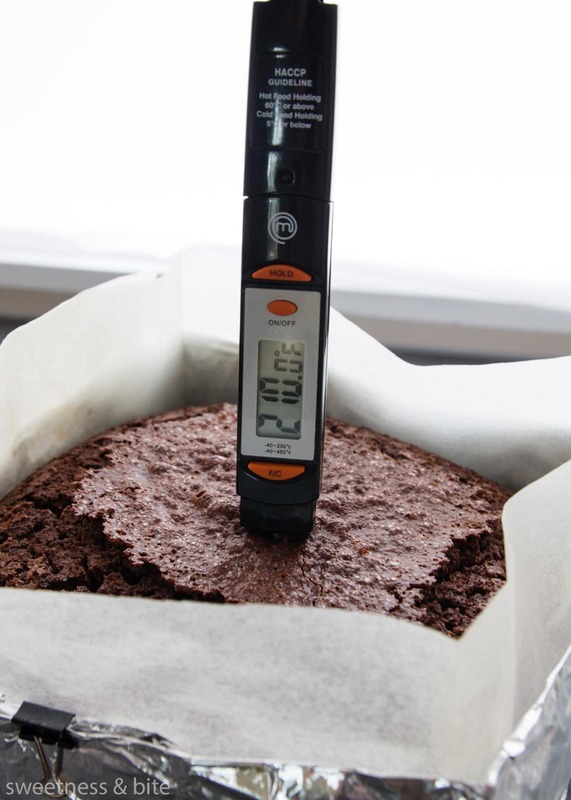 Is an internal temp of 99 C for all cakes or does it differ depending on what kind of cake you are cooking? Other website suggested an internal temp of 93 C for fruit cake. Thanks so much for your prompt reply 🙂 Yes your very helpful. My fruit cake recipe has more fruit than batter I think – so 99 C or near enough sounds good to me! Thanks! Yes, I do prefer to undercook than overcook my fruit cake. Trying to bake a Gluten Free And Vegan cake! If I baked a cake and used the knife method to check if it was finished baking, there was no batter on the knife.. But after I took the cake out of the oven and let it cool I noticed it was still raw in the middle what went wrong? Hi Ray, I use the same temperature for most cakes and loaves, 99℃ (roughly 210℉). Kudos too you, Natalie. 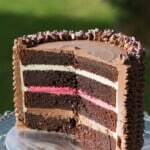 Very few bakers bake to the internal temperature, which is the only sure way to know when a cake is baked in the center. I remind my students that when a liquid reaches 212 degrees it is boiling, and any cake which is that hot internally is losing its liquid content to evaporation and is drying out. I also caution them that a cake, cookie, etc. will continue to bake a little once out of the oven. Thanks for including this tip on your post, and educating our up and coming bakers.